With roots in the pioneering structural explorations of Ida P Rolf, PhD, the Soma Institute of Neuromuscular Integration® developed in 1977 is a successor to the classic form of ten session series Structural Integration. Since taking the reins as the Institute’s director and owner in 1986, Karen Bolesky has continuously evolved the program as the exclusive place to learn this innovative and unique modality. Soma Institute of Neuromuscular Integration® was developed in 1977 by Bill Williams, who had a PhD. 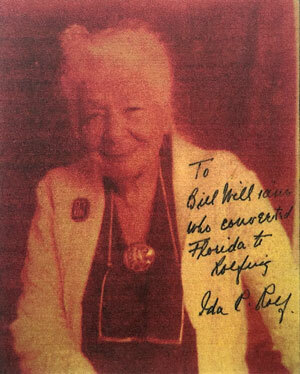 in Psychology and was an accomplished Rolfer® who studied directly with Ida P. Rolf. A lens of psychology expanded the approach beyond attention to the body’s physical structure and relationship to gravity. The added layer of acknowledging body, mind and spirit as an inseparable whole system supports the multidimensional human being and distinguishes Soma as the place to learn structural integration. Under the direction of Karen Bolesky, the Soma Institute currently offers a 750+ hour training program in structural integration (SI) theory and technique, which includes a licensing program. It is staffed by a dedicated group of experienced core Soma instructors with over 75 years combined SI experience. Karen’s nephew, Jesse P. Guerrero has been involved in Soma since he received the 10-Series in 1985 at 8 years old. He became a practitioner of SI in 2002 and has been closely involved with the Soma Institute since then. Karen Bolesky, Jesse Guerrero, Denise Foster Scott, Lanii Chapman and Kelsi Giswold are core instructors in the program. The Soma Institute is recognized as one of the major schools of SI by the International Association of Structural Integrators (IASI), it is also a State and National Massage licensing program. Soma is also accredited and a CE provider with the National Certification Board of Therapeutic Massage and Bodywork (NCBTMB) and is licensed by WA State Workforce Training and Education Coordinating Board and the Washington and Oregon Board of Massage. Select programs at the Soma Institute is VA approved by the WTECB/SAA for enrollment of those eligible to receive benefits under Title 38 and Title 10, USC. Ready to experience bodywork you won’t forget?